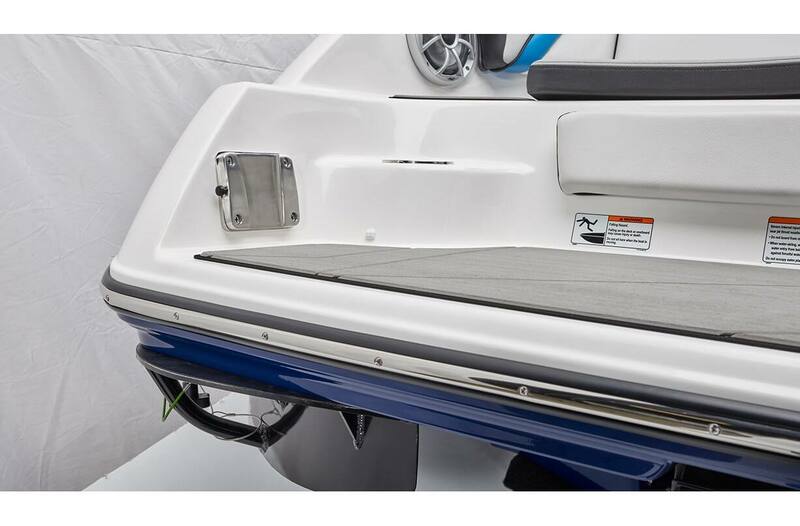 In-Water Height (Bridge Clearance): 8 ft. 2 in. 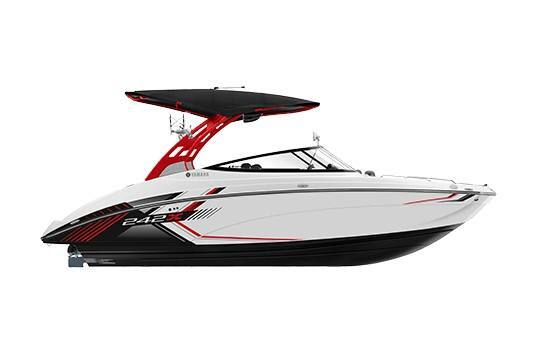 New Yamaha Surf Package: Includes the Yamaha WakeBooster attachment, wake surf rope and co-branded Yamaha Slingshot surfboard designed specifically for use behind Yamaha jet boats. 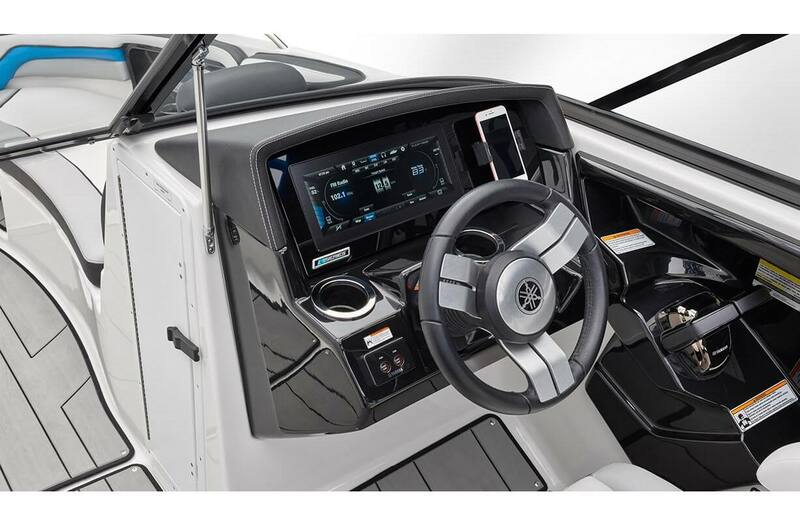 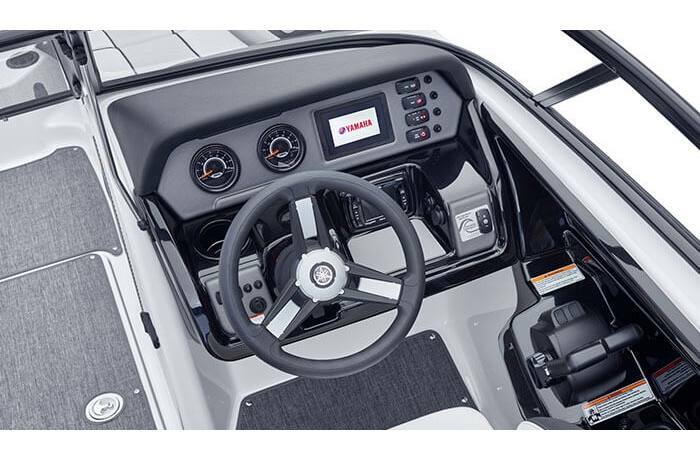 12" Connext®: Touchscreen provides all critical boat and entertainment functions, as well as customized Drive Control for precise towing. 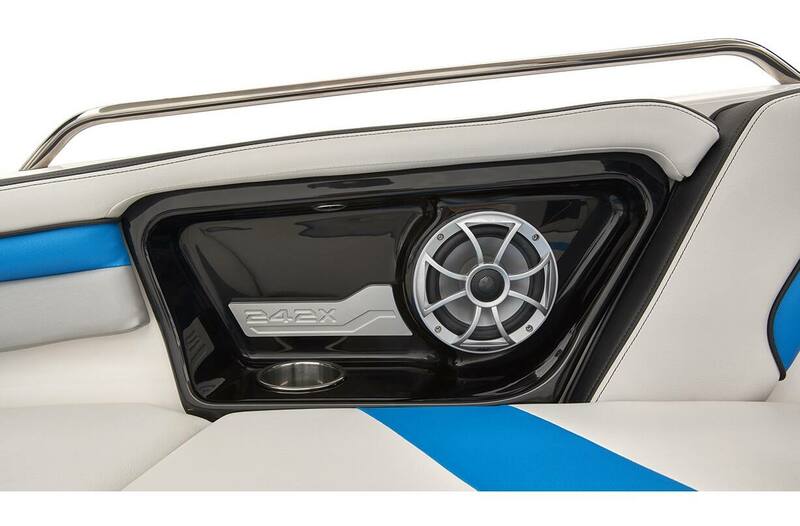 Wet Sounds Stereo System: The custom-tuned stereo system includes a sound bar, dual amplifiers and subwoofer. 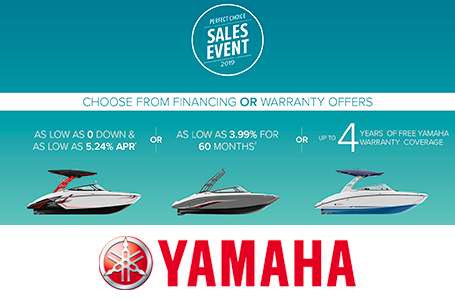 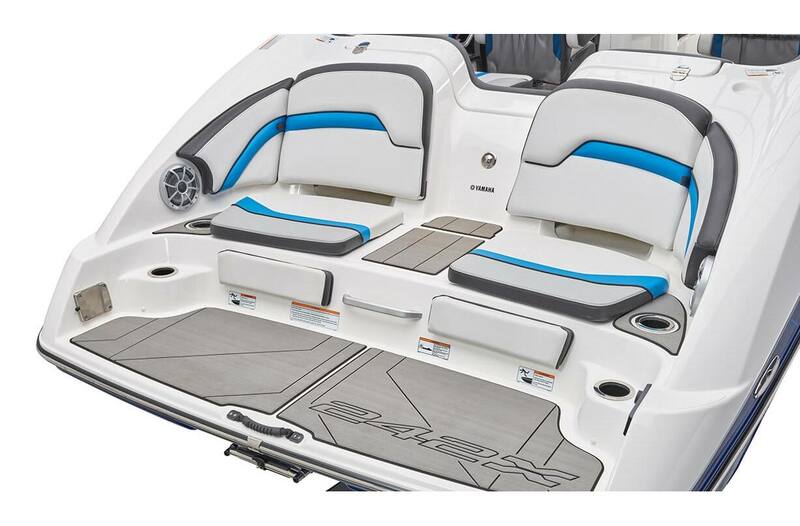 Swim Platform: Yamaha's award-winning, patented design is the perfect area for staging watersports. 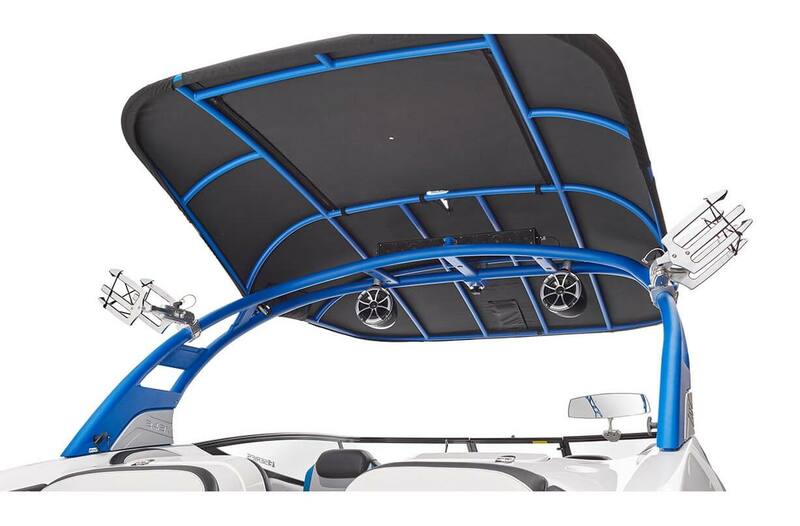 Bimini™ Top With Sunroof: Integrated into the color-matched tower, the extended Bimini™ top includes an adjustable sunroof and solar panel for battery charging.